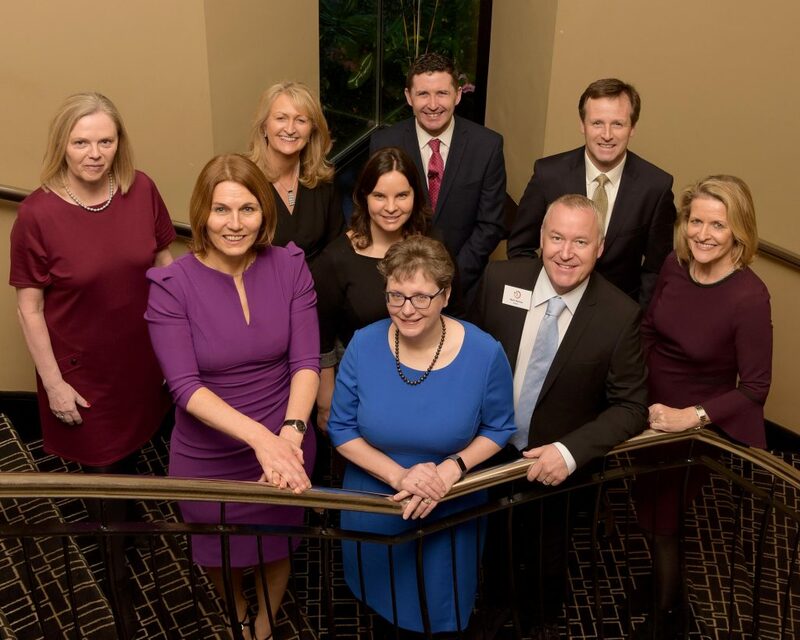 The Johnson & Johnson (J&J) Women’s Leadership and Inclusion (WLI) Conference took place at the Maryborough Hotel & Spa, Cork, on 7th February 2019. The conference hosted 150 attendees from across the Campus Ireland sites and the theme was building confidence and connections. WLI demonstrates J&Js commitment to the development, advancement and empowerment of women. The conference focussed on offering support to women in leadership and provided an opportunity for networking throughout Ireland, helping to make connections, inspiring the next generation and amplifying the presence of women leaders in Ireland. Johnson & Johnson (J&J’s) commitment to the development, advancement and empowerment of women led to the launch of ‘Women’s Leadership and Inclusion’ in 2017. Its purpose is to connect females in the J&J sites across Ireland and inspire women to reach their true potential. J&J’s ‘Women’s Leadership and Inclusion’ Conference took place in the Maryborough Hotel & Spa, Cork, yesterday. The conference hosted 150 attendees from across the Campus Ireland sites and focused on building confidence and connections. It included keynote speakers, a panel discussion, networking and workshops. Gillian Harford, Country Executive, 30% Club Ireland. Former Head of HR Strategy & Planning at AIB. Mark Devine, Senior Director, Global Development Centres at Johnson & Johnson. Dr Leisha Daly, Senior Director Government Affairs, Supply Chain EMEA & J&J Ireland. MC – Jonathan Healy, Managing Director at Healy Communications. Kyran Johnson, VP / General Manager, Janssen Supply Chain Ireland. Professor Irene Sheridan, CIT Extended Campus, Cork Insititute of Technology. Ellen Hayden, Production Planning Manager at Johnson & Johnson. Dr Jeanne Bolger, Vice President, Venture Investments at J&J Innovation Centre, UK. Engaging Men in Diversity and Inclusion: Peter Cosgrove, Futurist, Diversity, Skills & Talent Expert, Author. Colour Conversations and Networking: Sean Weafer, Professional Coach, Conference Speaker and Business Author. The Confidence Conundrum, Mojo for Leaders. The conference was an investment in the next generation of women leaders by providing content, tools and networking to encourage their advancement to be leaders of the future. The event brought together top women in leadership in Ireland, with the next generation of women leaders from the multiple sites in Ireland to inspire them in their advancement and development. The conference focused on providing support to women in leadership and to provide opportunity for networking across Ireland, helping to make connections, inspiring the next generation and amplifying the presence of women leaders in Ireland. J&J’s ‘Women’s Leadership and Inclusion’ network is a grassroots employee organisation with 47 chapters worldwide. The WLI vision is to achieve gender equality across our businesses globally to enhance our competitive advantage and fuel the future of human health. The purpose of WLI is to foster an inclusive organisational environment that champions the advancement of women.